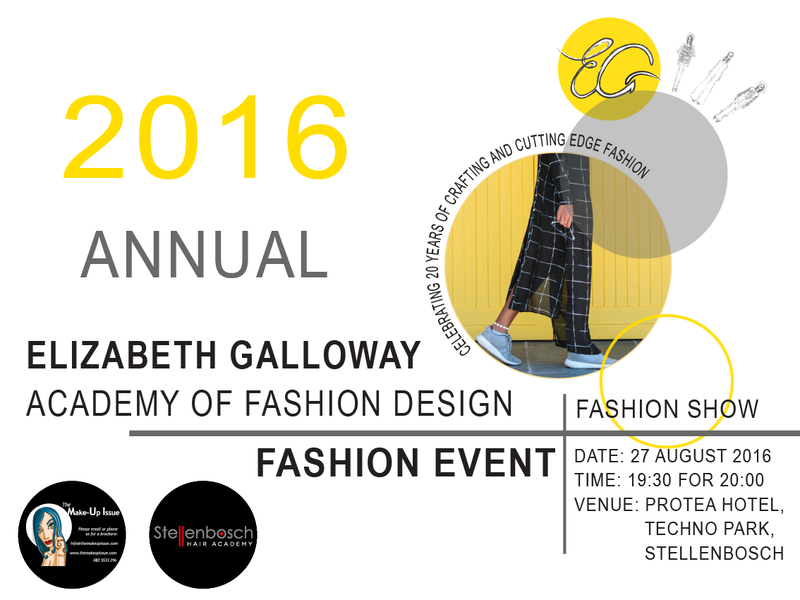 On the 27th of August 2016, celebrating 20 Years: The Elizabeth Galloway Academy of Fashion presents its annual student fashion show, taking place at the Protea Hotel in Technopark, Stellenbosch. Doors will open at 19:30, and the show will begin at 20:00. Every designer (student) will showcase their work in the show. The focus of the show is on the final year students’ capsule collections. We are excited to be working with Stellenbosch Hair Academy and The Make-up Issue, who will be styling the hair and make-up..